Thyroid nodules are commonly diagnosed in adults, although they are rare in children affecting only 1% – 2% of this population. Since the late 1960’s, ultrasound (US) has become essential in the examination of the thyroid gland as a non-invasive, rapid and easily reproducible imaging study. 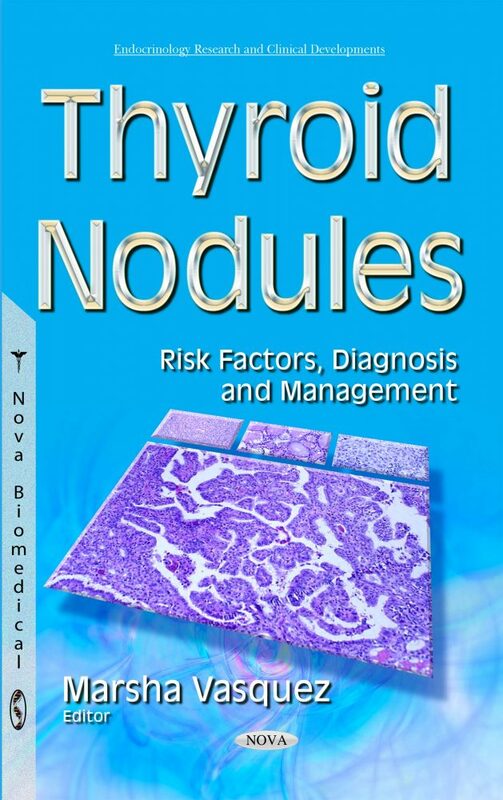 This book provides the reader with a framework from which to develop a differential diagnosis, risk factors and evaluation plan for both children and adults presented with thyroid nodules. Risk factors and management of a thyroidectomy are presented as well, and the challenges it poses for the surgeon who undertakes endocrine surgery. The final chapter evaluates the association between Hashimoto’s thyroiditis and differentiated thyroid cancer.